Calling all media magicians! BUY TICKETS NOW for the highly anticipated AMASA 2018 Gala awards & dinner now to avoid disappointment. 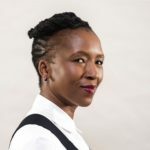 To add to the magic of this year’s event, AMASA AWARDS will be presenting the first AMASA AGENCY OF THE YEAR AWARD, honouring the highest scoring agency assessed by a panel of industry experts. GALA TICKETS – 10 October 2018 at the Hilton in Sandton, email anthea.danckwerts@mediamark.co.za or amasa.awards2018@gmail.com to secure your tickets. When sending through the request can you include all attendees names and email addresses, if possible also include any dietary requirements. 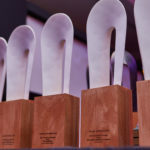 AWARDS SPONSORSHIPS – these are selling fast but there is still a chance to get involved in sponsorship opportunities and have your brand at the forefront of the media event of the year. See attached sponsorship packages and email your enquiry to amasa.awards2018@gmail.com or Charlie.wannell@mediamark.co.za. 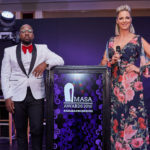 To add to the magic of this year’s event, AMASA AWARDS will be presenting the first AMASA AGENCY OF THE YEAR AWARD, honouring the highest scoring agency assessed by a panel of industry experts.